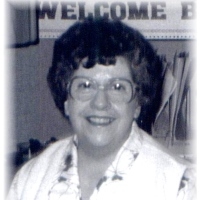 Claire Irene Mino, 87, daughter of the late Joseph P. and Flo (Lafferty) Mino, entered into eternal rest on March 27, 2019. She was born on October 14, 1931 in Bristol and graduated from Bristol High in 1950. Claire worked for the Internal Revenue Service in Hartford in Tax Service and Collections for 35 years. In retirement, she enjoyed volunteering at the Bristol Senior Center for 22 years and also as an “Aunt” in the Giamatti Little League. She enjoyed travels with friends and trips to the casino. She was predeceased by a brother Joseph M. Mino. She will be missed by her good friends and neighbors, Marilyn Woods, Matthew Morneault, Kiki Morneault and Kenny Roche in which she grew up with, and especially a dear friend Sheila Rickard, that cared for her in her final years. They would like to thank the staff at the Pines, Bristol Hospital, Ingraham Manor and especially Dr. Surendran Varma for all their care.